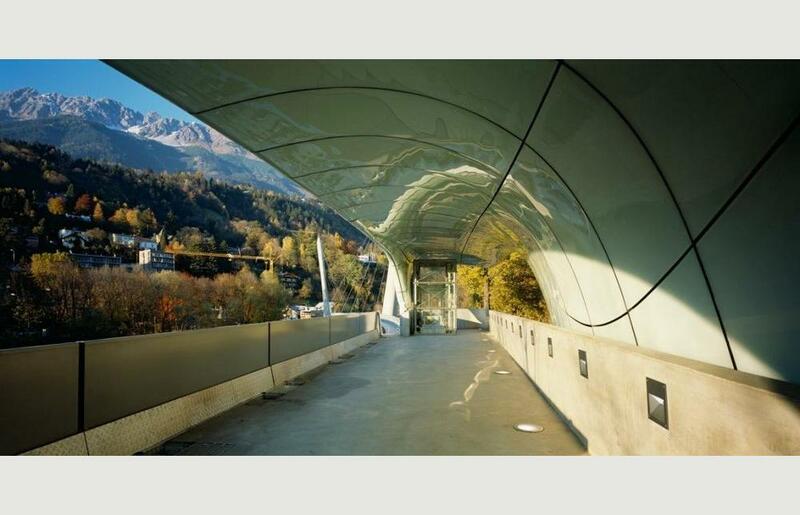 The Nordpark Cable Railway, comprised of four new stations and a cable-stayed suspension bridge over the river Inn was opened in a ceremony at Loewenhaus Station, Rennweg, Innsbruck on 01 December 2007. 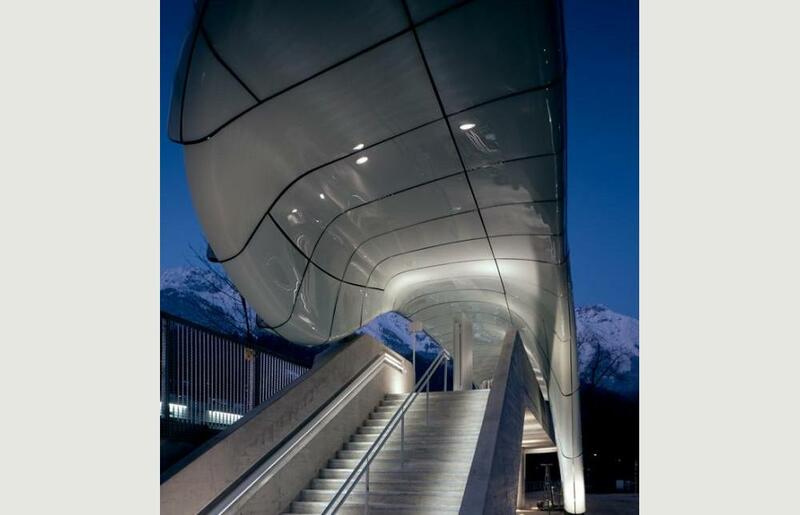 Starting at the station of Congress in the centre of the city, the railway travels to Loewenhaus station before crossing the river, ascending the Nordkette Mountain north of Innsbruck to Alpenzoo station. 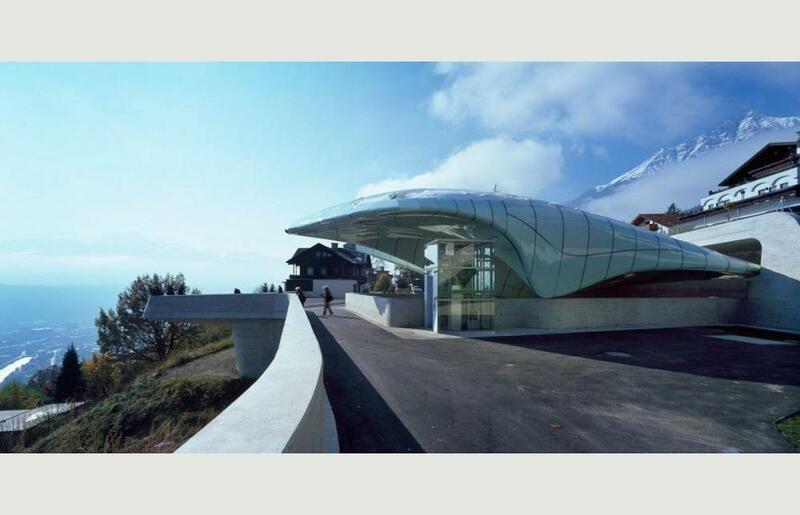 The final station is at Hungerburg village, 288 metres above Innsbruck, where passengers can join the cable-car to the summit of the Seegrube Mountain. 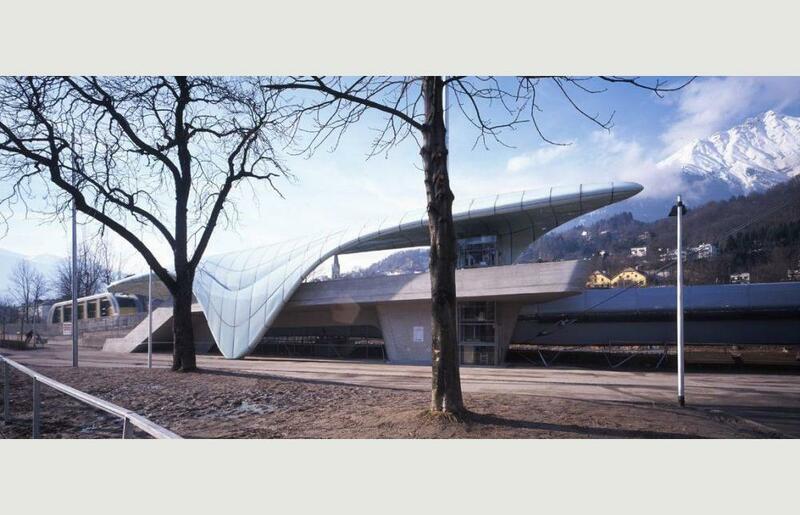 “I am absolutely delighted to be attending the opening of the Nordpark Railway” states Zaha Hadid. 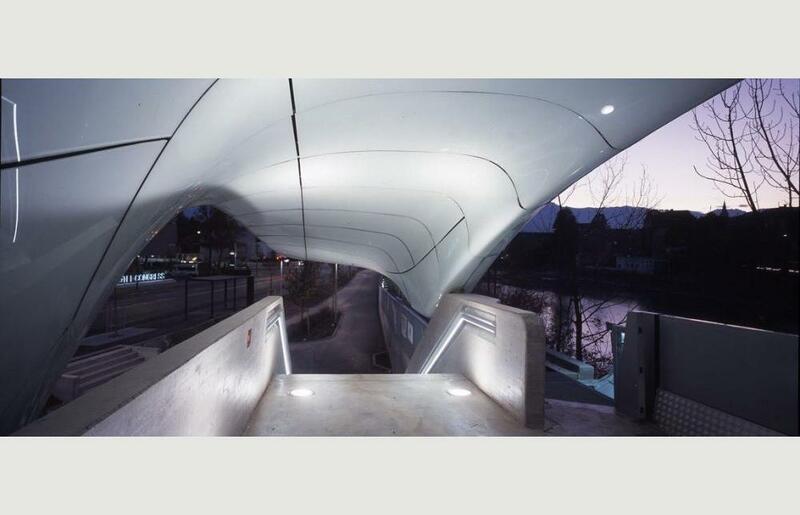 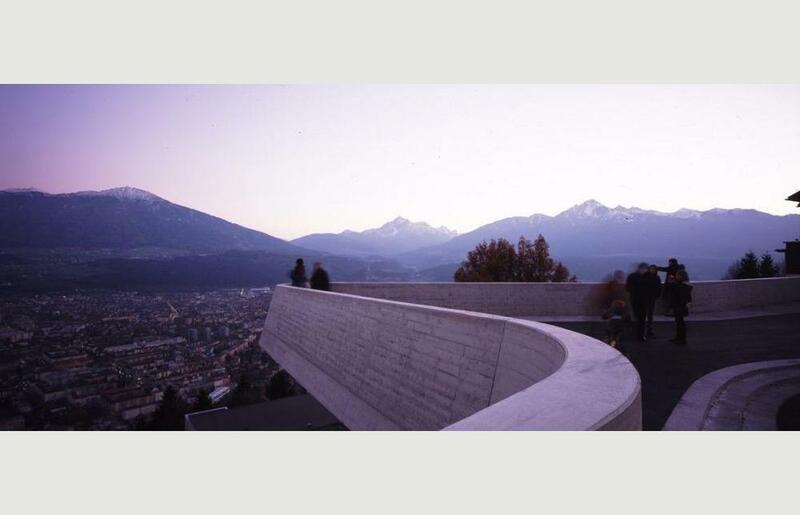 “It is indeed an honour to complete my second project in Innsbruck. 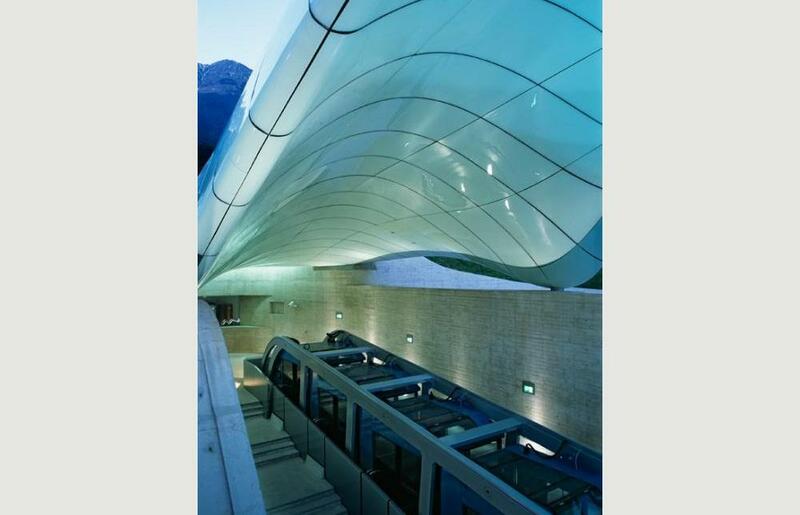 The railway reflects the city’s continued commitment to the highest standards of architecture and pushes the boundaries of design and construction technology. 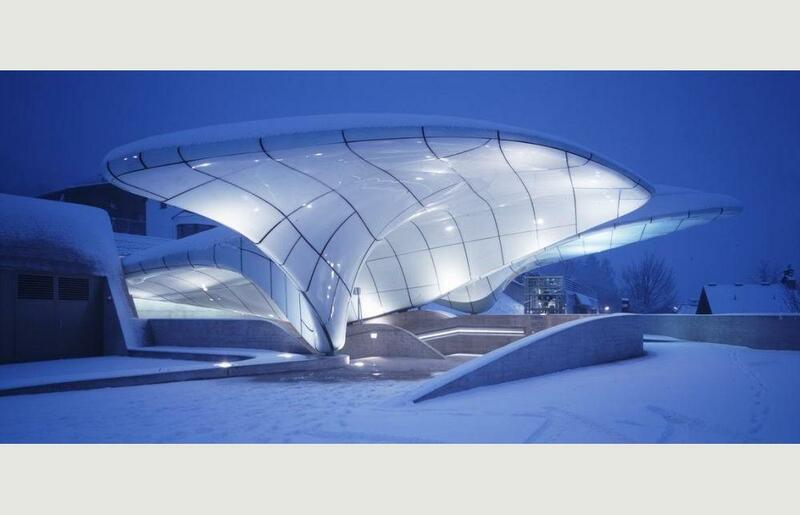 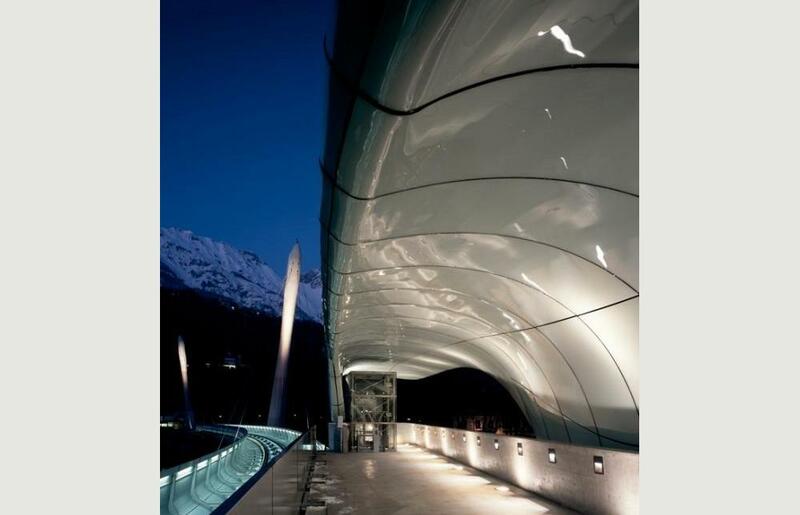 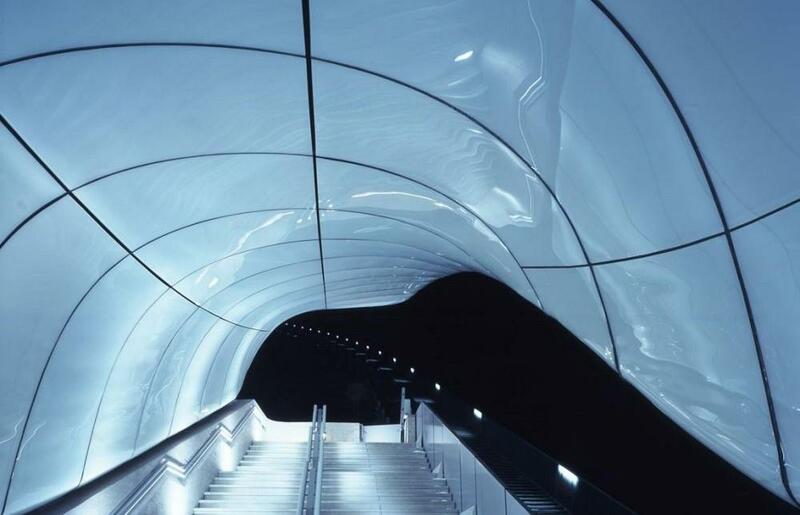 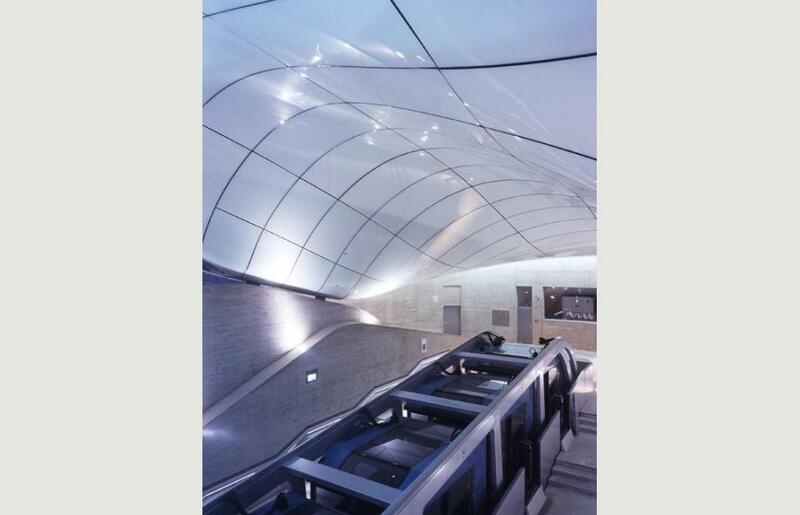 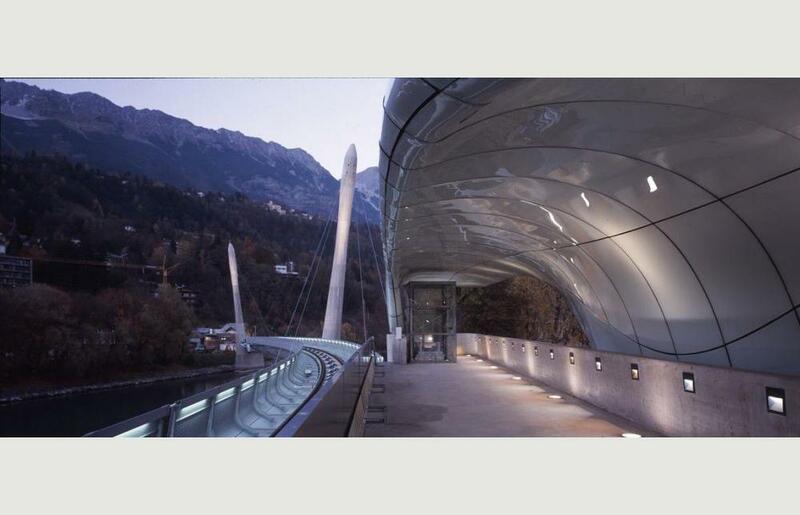 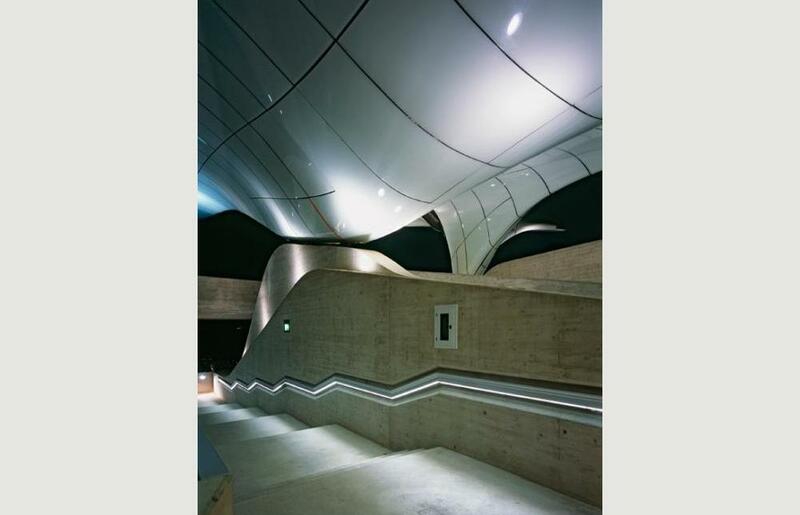 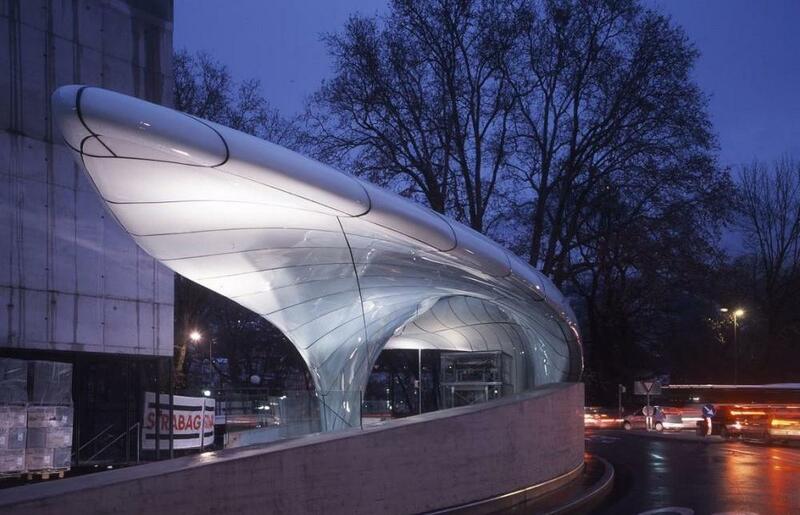 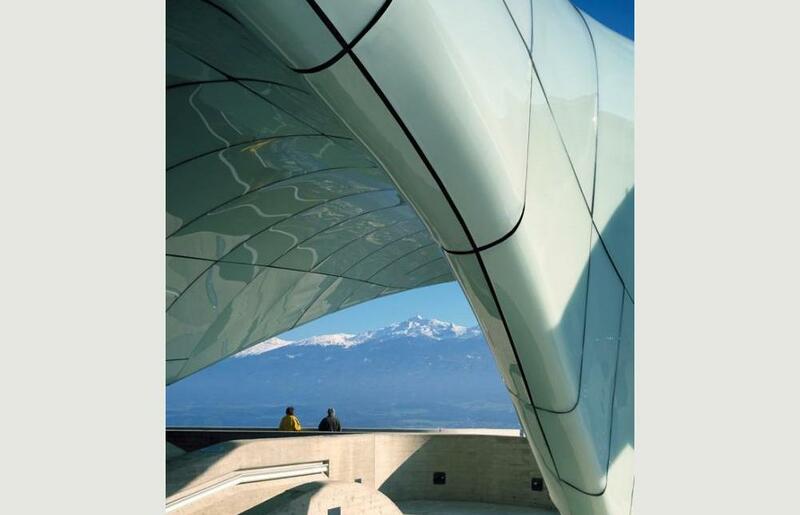 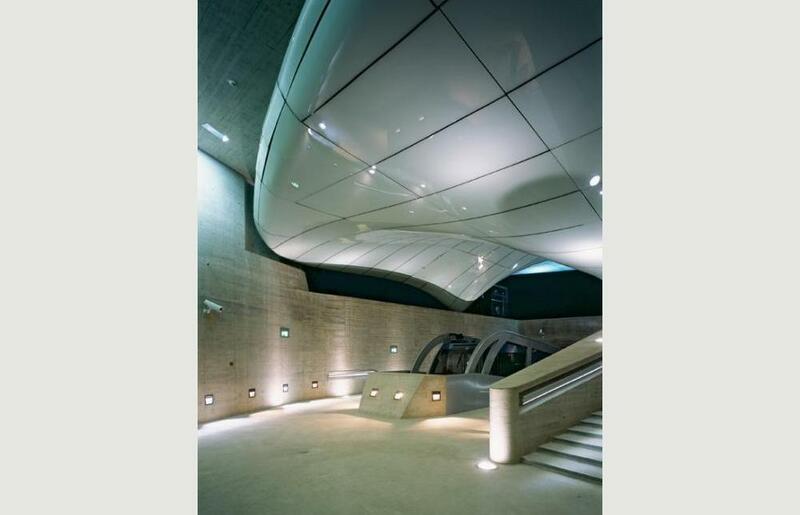 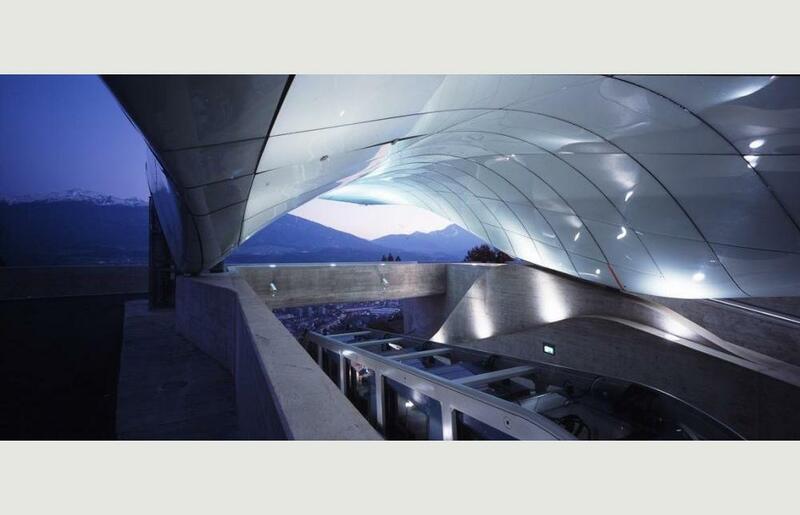 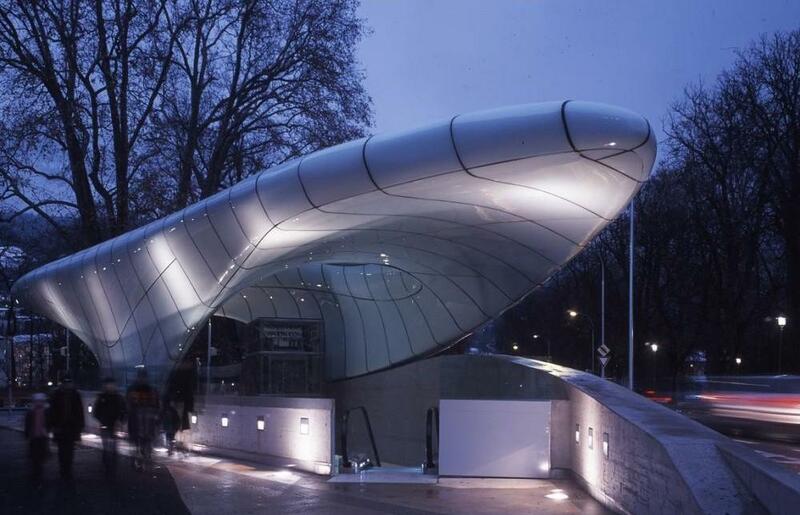 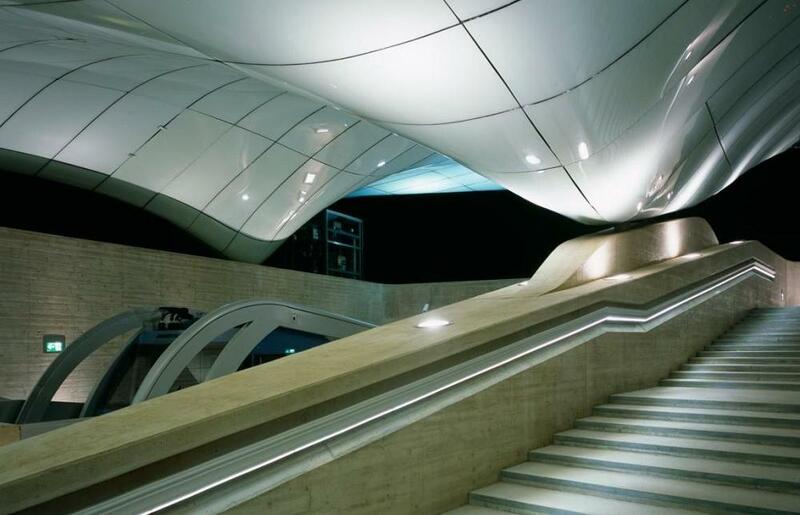 These stations are the global benchmark for the use of double curvature glass in construction.” Zaha Hadid Architects won the competition to create Nordpark Cable Railway in 2005 together with the contractor Strabag. 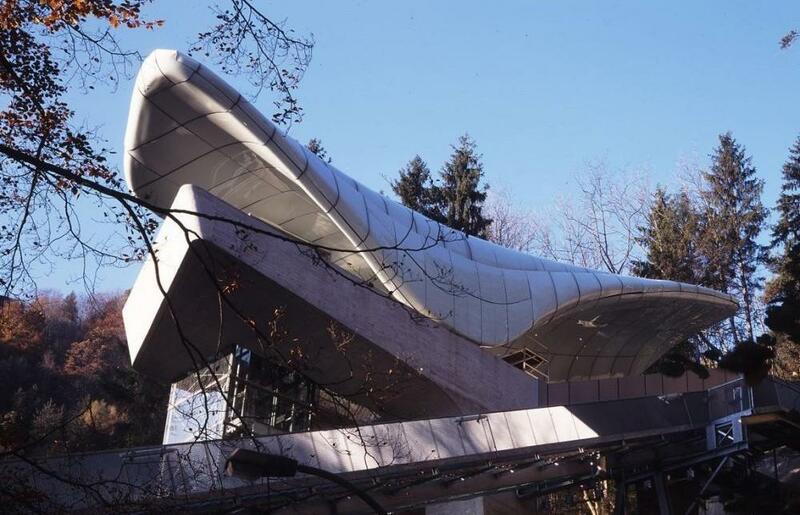 The railway is the second project completed by Zaha Hadid in the city; the Bergisel Ski Jump by Hadid was completed in 2002 and awarded the Gold Medal for Design by the International Olympic Committee in 2005. 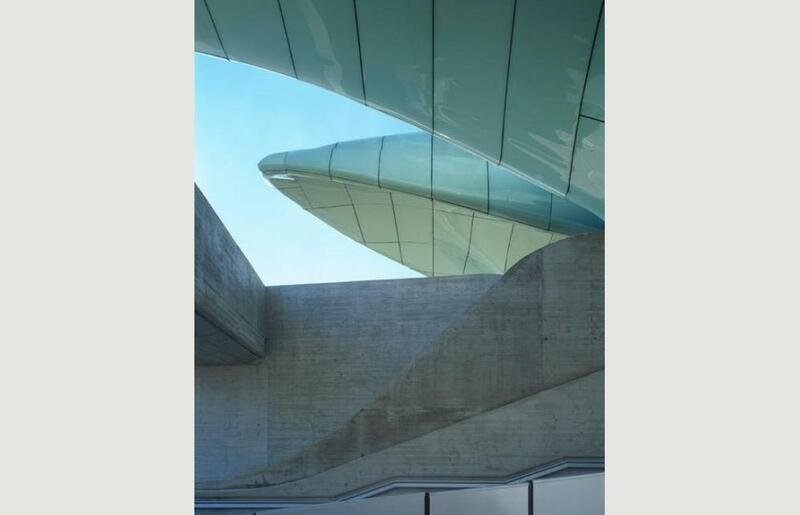 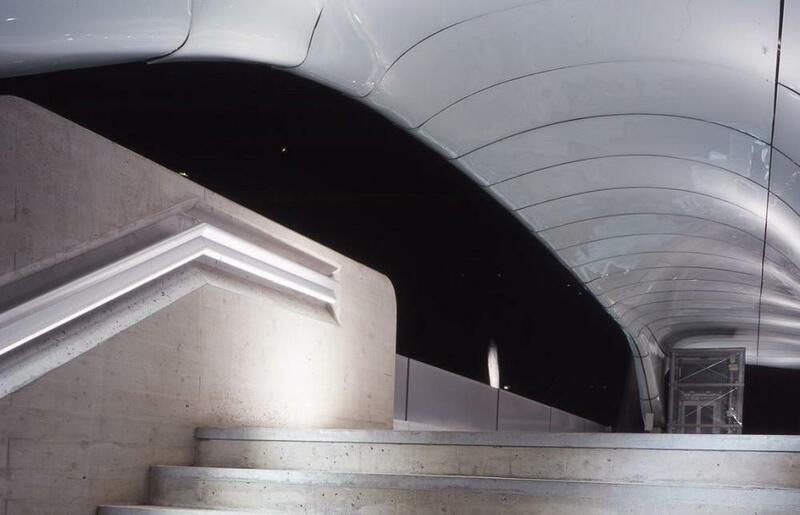 Zaha Hadid explains that the design for each station adapts to the specific site conditions at various altitudes, whilst maintaining the coherent overall architectural language of fluidity. 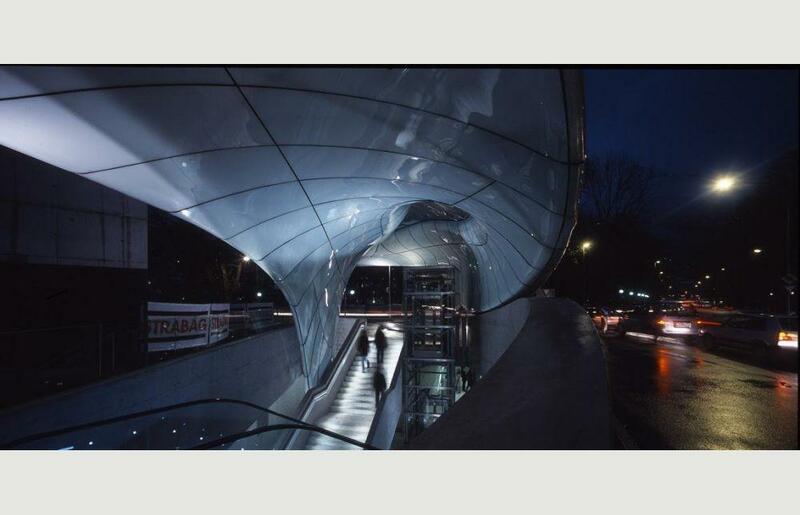 This approach was critical to the design for the railway, and demonstrates the seamless morphology of Hadid’s most recent architecture. 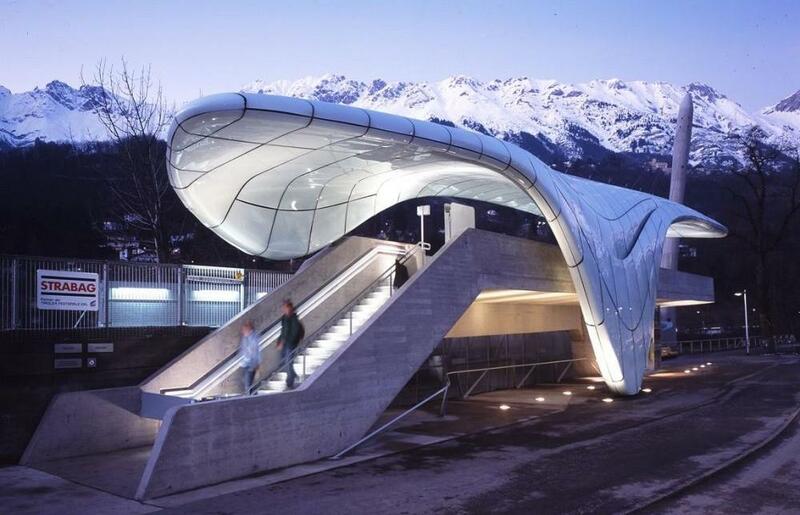 “Each station has its own unique context, topography, altitude, and circulation. 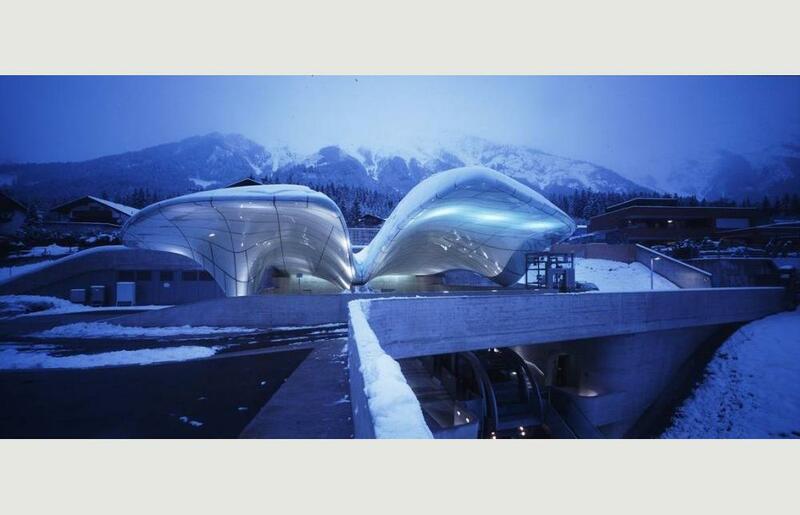 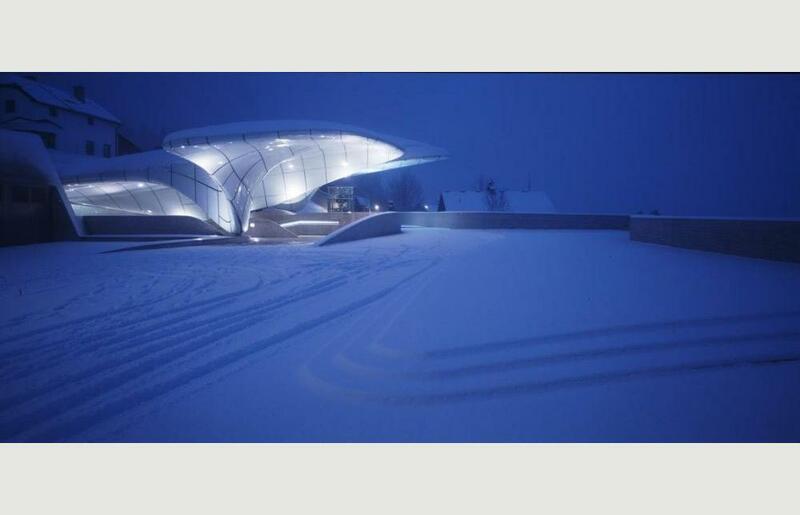 We studied natural phenomena such as glacial moraines and ice movements – as we wanted each station to use the fluid language of natural ice formations, like a frozen stream on the mountainside.” says Hadid. 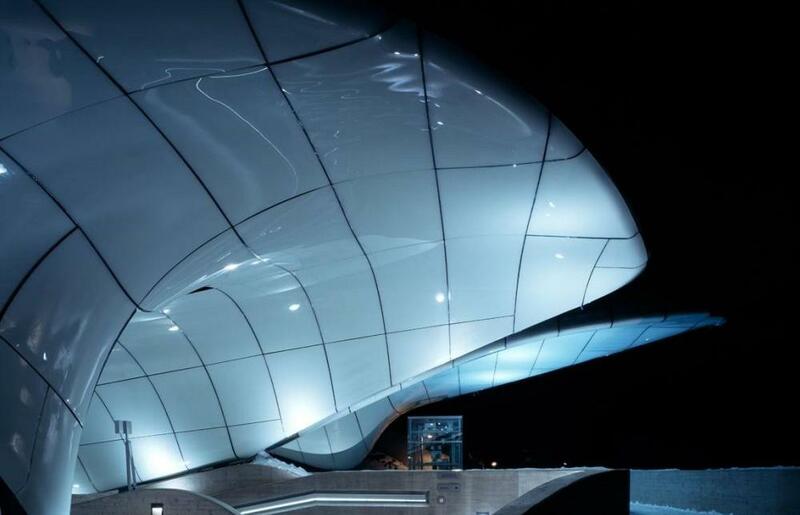 “A high degree of flexibility within this language enables the shell structures to adjust to these various parameters whilst maintaining a coherent formal logic. 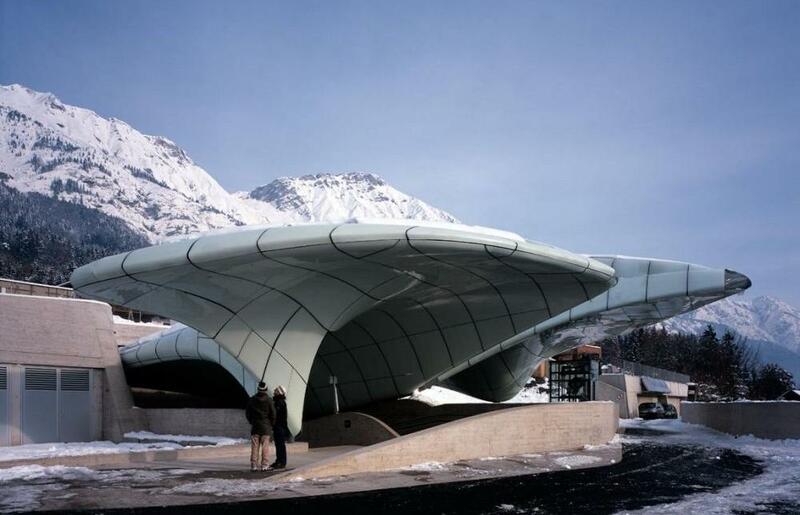 Two contrasting elements ‘Shell & Shadow’ generate each station’s spatial quality, with lightweight organic roof structures of double-curvature glass ‘floating’ on top of concrete plinths, creating an artificial landscape that describes the movement and circulation within.” New production methods such as CNC milling and thermoforming guaranteed a very precise and automatic translation of the computer generated design into the built structure. 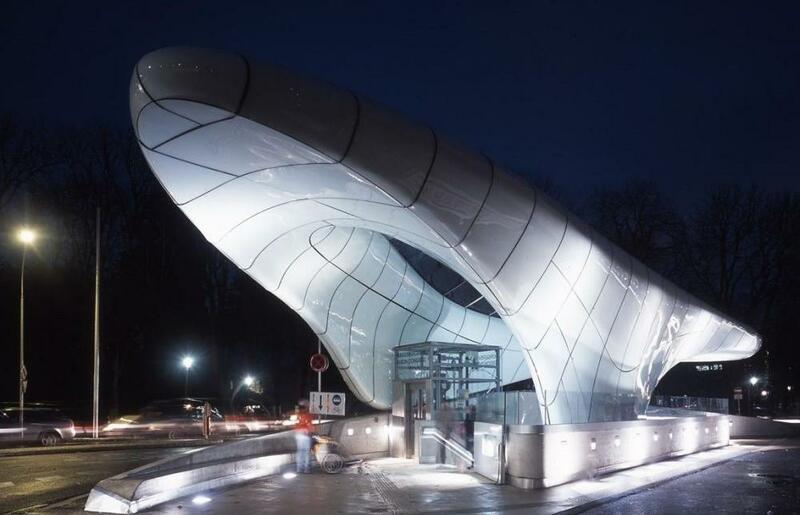 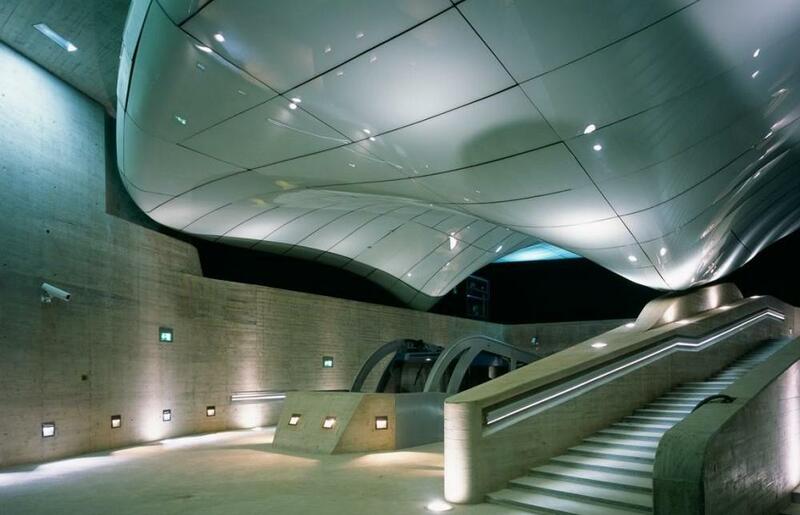 The architects used state-of-the-art design and manufacturing technologies developed for the automotive industry to create the streamlined aesthetics of each station. 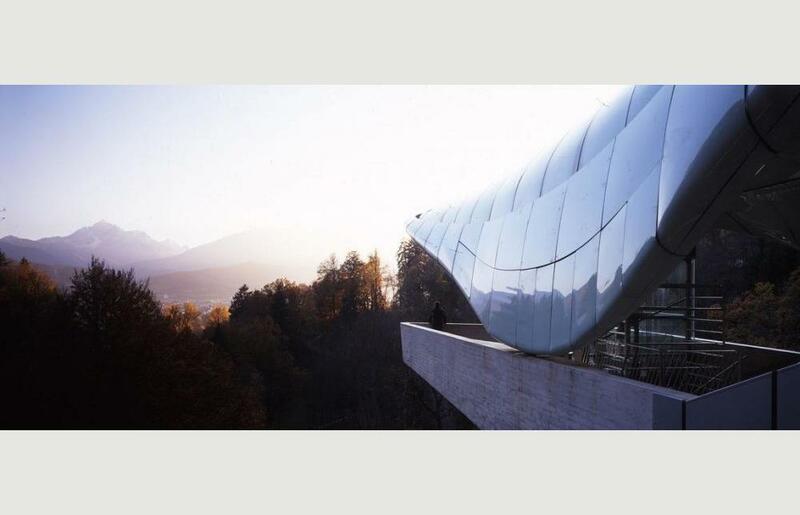 The Nordpark Cable Railway continues Hadid’s quest for an architecture of seamless fluidity, representing Zaha Hadid Architects’ very latest contribution to the current global architectural discourse in digital design and construction.